If you have seen or heard people raving about smart meters and how much money they’re saving them on their energy bills, you most likely would like to get one. If you want a smart meter but are unsure of how to get one, you can follow the guide below and you’ll be saving money on your bills in no time! 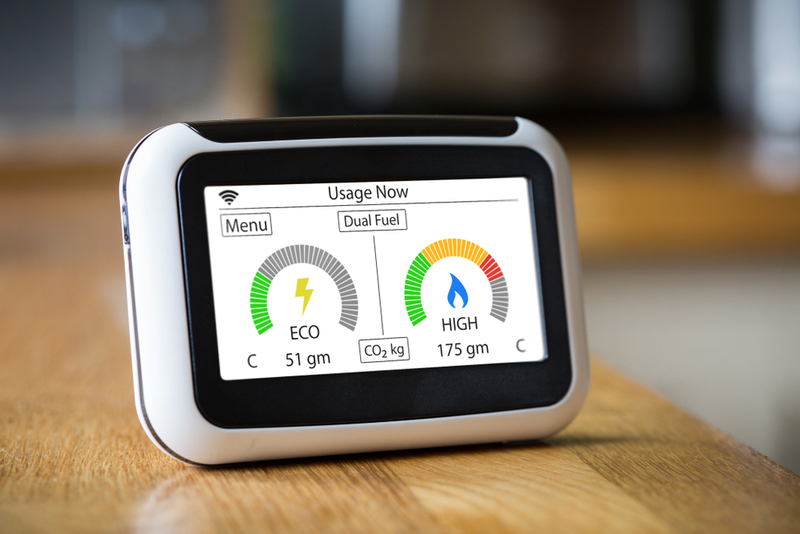 There are many reasons you may be considering getting a smart meter fitted into your home, you may want to know exactly how much you use a month, you may want more accurate bills or you may want to monitor and cut back on your usage to save money on your bills. If you think a smart meter would be useful in your home, you should definitely get one and give it a chance. You can get smart meters for electricity, gas and dual fuel as well, most providers will have these smart meters available for you. If you want a smart meter for only your electricity usage you can usually do this with your normal energy provider. Some providers who you can get an energy smart meter with are British Gas, EDF and E.ON. If you have been shocked in the past by expensive electrical bills and you want to keep tabs on what you’re using, getting a smart electricity meter is definitely a good choice. If you’re more interested in monitoring your gas usage you can get a gas smart meter fitted into your home to allow you to keep track of your habits and cut back on the usage. You can get a gas only smart meter from providers such as First Utility and OVO Energy. With a gas smart meter, you will be able to save money on your bills as well as cut down on your usage of gas and become more environmentally friendly. If you have now decided you want a smart meter to be installed you can follow the below steps to have one installed into your home. You first need to contact your current energy supplier and inquire about what types of smart meters they have available such as if they have an electricity-only meter or a dual fuel meter. Once you have all the information you need regarding their smart meters you need to inform them that you would like to have one fitted. You may need to answer some questions regarding your usage and account first so they can identify who you are and then they will ask you when is the best time for them to organise someone to come to your home and fit your smart meter. Someone will then come to your home to fit the smart meter at the day and time that is convenient for you. This installation should be free and the only costs you may have to pay for is for the actual smart meter itself. Now your smart meter if fitted in your home you will be showed how to use it and see your usage online or on the screen of the smart meter. Most smart meters show you your usage in pounds to make it easier for you to know how much money you will be paying for your bill, sometimes it will show you your usage in kWh as well as showing your how much you’re using right now. When your meter is installed you should be told whether the smart meter automatically sends your readings to them or if you must enter it online. If you have to enter it online you will most likely have to log onto your account and enter in the information displayed on your smart meter screen. Some providers offer a pay as you go smart meter. To top up your smart meter you will most likely need to enter your smart meter number or other information on your providers website and then enter how much you would like to top it up by and you will be ready to heat your home or light up your living room. Most providers do recommend that you don’t allow your smart meter credit to go down to 0 and that you regularly keep it topped up.